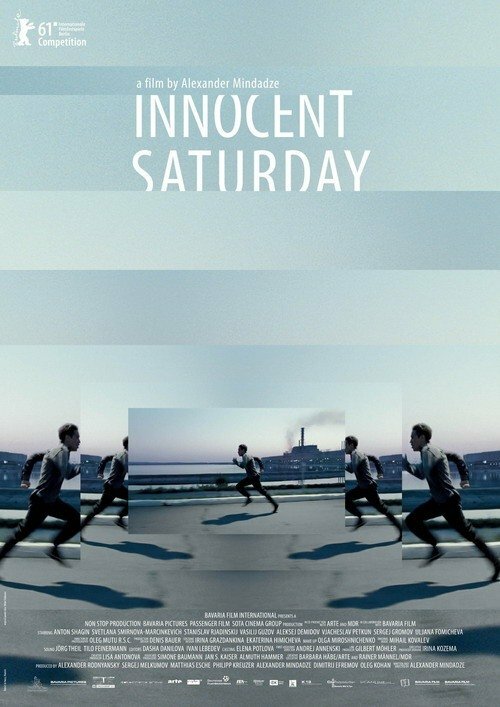 Innocent Saturday is a Russian film about the Chernobyl disaster, as experienced by a young party official and his friends living in the township across the river from the plant. The date is Saturday, April 26, 1986, and official reports of the meltdown have been withheld, so residents in the surrounding townships are carrying on life per usual — and breathing in radioactive air. Curious, ambitious party official Valery has seen the reactor, though (he investigates the fires the previous eve), and promptly runs like hell from the grounds of Chernobyl with the intention of picking up his girl, Vera, and getting the F out of dodge. But they miss the train, and so begins the surreal journey to escape the strontium. What gives Innocent Saturday its frantic, absurdist touch is the political reality: those in danger do not know they are already being exposed. It takes some interesting tragicomic turns, and sometimes feels a bit like the a music video, as Valery was once a drummer and his group of friends is comprised of musicians. The cinematography and camerawork by Oleg Mutu (Death of Mr. Lazerescu) is great, by far my favorite element of the movie.